It’s a small town in Columbia County, with some big accomplishments. Gridiron greats—and a nationwide potato chip company rooted in hometown values; traditions of all kinds and cultures celebrated with gusto and passion; and a generous sense of community always willing to give of themselves to help others in need. It’s a place where history, industry, and hometown pride are as solid as a Stuart Tank. 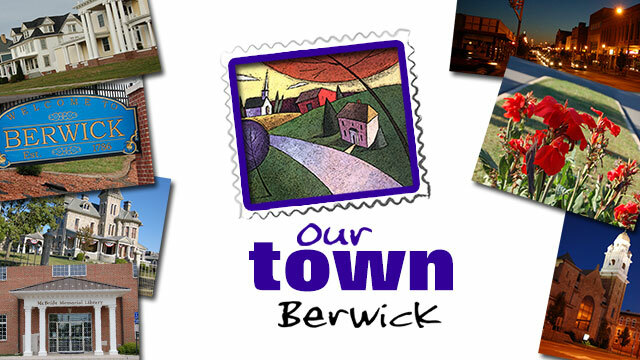 Residents from Berwick, Pennsylvania volunteered their time to become videographers and storytellers for “Our Town: Berwick”. The residents narrowed down which landmarks, events and local stories the documentary would explore. Each subject was assigned to a volunteer to videotape and participants were then interviewed about why they chose to become involved.